HAPPY NEW YEAR! During Monday's 'Welcome Back' assembly I introduced the children to our new PUPIL PROUD TREE! 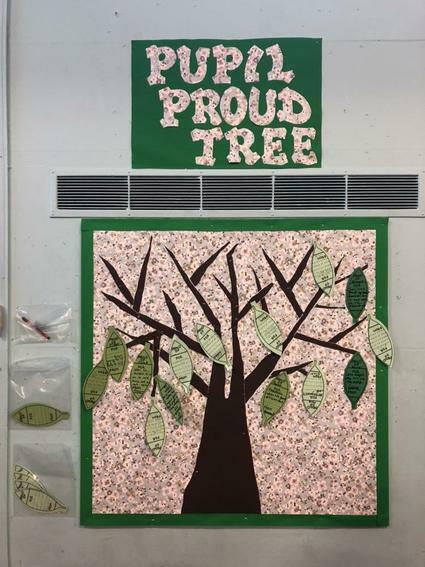 The leaves of the tree are to be filled out by pupils who have been challenged to nominate one another for their work, attitude and effort around our school! It was lovely to see today, before I read and share them all in Honours Assembly this afternoon, that so many leaves where already on the tree! Well done to our pupils for taking the lead on recognising the achievements of others!